198 pages | 13 B/W Illus. Islands and their environs – aerial, terrestrial, aquatic – may be understood as intensifiers, their particular and distinctive geographies enabling concentrated study of many kinds of challenges and opportunities. This edited collection brings together several emerging and established academics with expertise in island studies, as well as interest in geopolitics, governance, adaptive capacity, justice, equity, self-determination, environmental care and protection, and land management. Individually and together, their perspectives provide theoretically useful, empirically grounded evidence of the contributions human geographers can make to knowledge and understanding of island places and the place of islands. 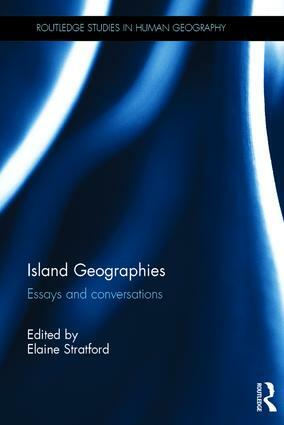 Nine chapters engage with the themes, issues, and ideas that characterise the borderlands between island studies and human geography and allied fields, and are contributed by authors for whom matters of place, space, environment, and scale are key, and for whom islands hold an abiding fascination. The penultimate chapter is rather more experimental – a conversation among these authors and the editor – while the last chapter offers timely reflections upon island geographies’ past and future, penned by the first named professor of island geography, Stephen Royle. Elaine Stratford works at the University of Tasmania, Australia, where she is a research professor at the Institute for the Study of Social Change, adjunct professorial fellow with the Peter Underwood Centre for Educational Attainment, and an affiliate of the Discipline of Geography and Spatial Sciences in the School of Technology, Environment and Design.